Type: Asia Cows/Cambodia. It costs $500 USD a cow. Cambodia is one of the world's poorest countries with a high percentage of the population living in rural areas. Almost all these families dream to have a cow for their families. 80% of rural families will never be able to afford one cow. The Cows for CBAVC is essentially a "Cow Bank", we loan families a pregnant cow, they must look after it and when it has the baby they get to keep the baby and we take our cow back and then pass onto another family. It's more about providing an opportunity to break the poverty cycle rather than a direct handout. Each family signs a contract to ensure our cow is looked after and strict rules are followed to ensure the best outcomes for all parties. The funds raised help towards caring for the cows (veterinary checks and vaccination). We work to provide cows in the rural areas of Siem Reap province. The project is enable the poorest disadvantaged families to have access animal draft power. 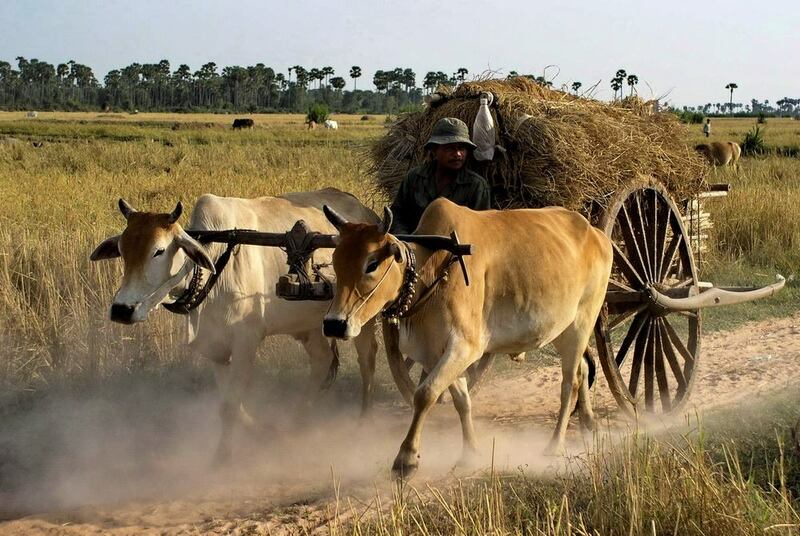 The raising of cows provide much more advantages for the farmers with ploughing, transportation means and agriculture of rice in their community. Beside the agricultural activities, female cows reproduced calves every year for utilization or selling to support family income, cow dung used for fertilizer for agriculture of rice and vegetation, no chemical substance and non-hazardous to the environment and land. During three cycles of female cow raising, farmers will get profit $1,170 USD (if they sell). The success of this project has been overwhelming, so much so that the long term goal is to have 1200 cows in the project which will make cows for the rural areas, one of Cambodia's biggest agriculture charity projects.